At RJE, we pride ourselves on the fact that our leadership not only cares about growing and sustaining our business, but also live by our mantra – Do What We Say We Will Do – to ensure that our clients receive the best service possible. Click below to learn more about our fearless leadership team members. Denny Sponsel, or the “Big Kahuna’ as he is more commonly known to RJE employees, is the fearless leader of RJE Business Interiors. 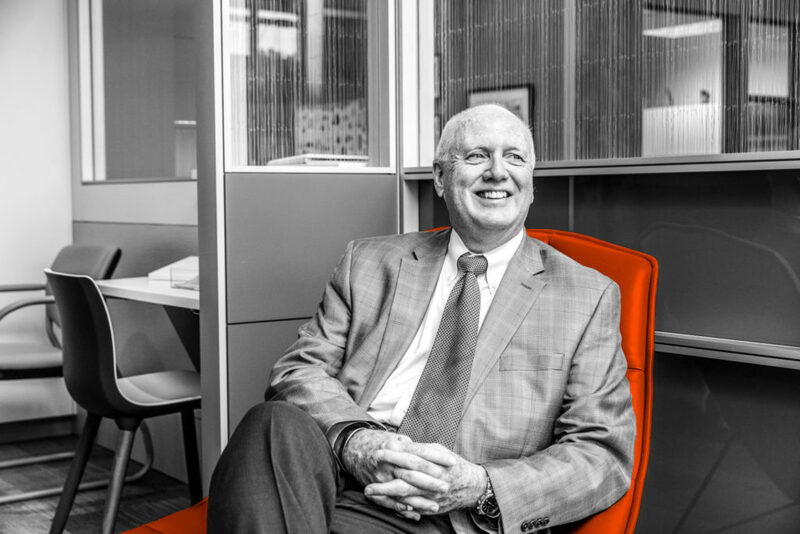 While he may have spent the last 40 years improving workplace design, his true passion lies in providing RJE’s clients with the best possible customer experience. A hugger at his core, Denny extends his favorite mantra — Do What We Say We Will Do — to all of his philanthropic efforts as well. As a board member for several charitable organizations, Denny is committed to giving the underprivileged youths in Indianapolis a better chance to succeed. 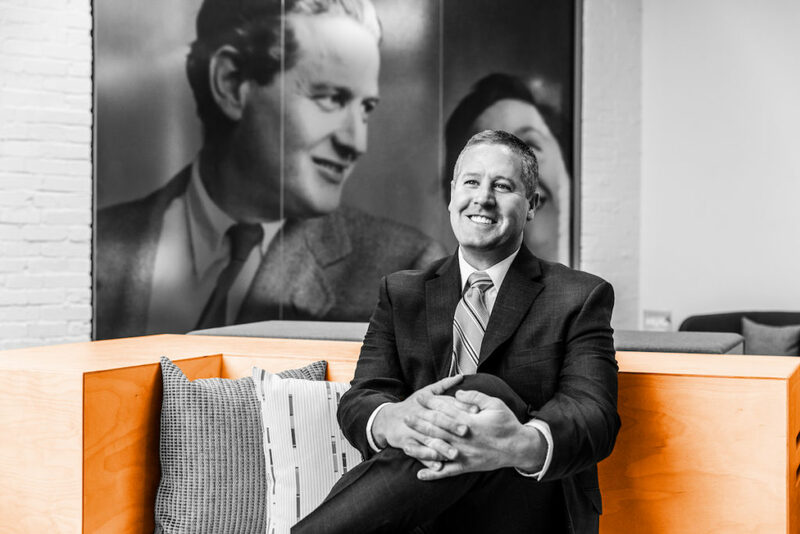 Kevin McKiernan has spent his life’s work creating beautiful workplaces across the Midwest. 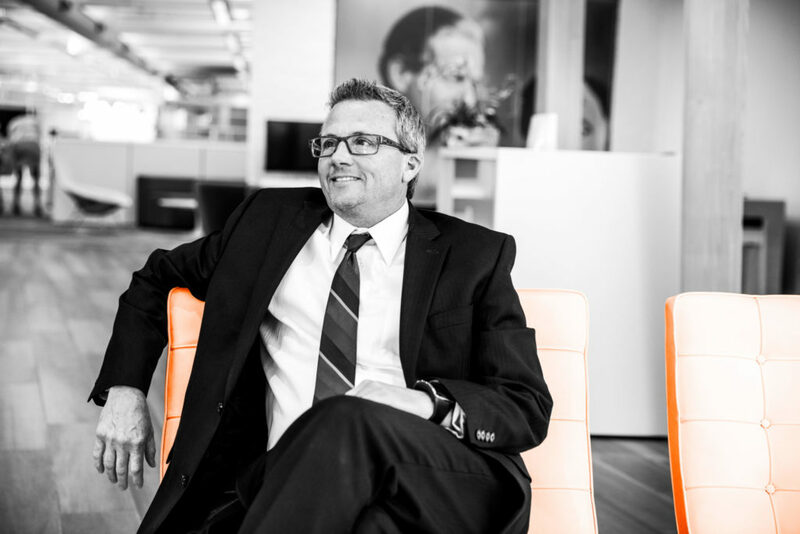 As President of RJE Business Interiors, Kevin leads the Cincinnati market with the invaluable expertise he has gained since entering the industry in college. While Kevin excels in business development, he is an operations man at heart and thrives at providing clients with a seamless experience from concept to occupancy. When not working away on the showroom floor, Kevin can be found enjoying the Cincinnati skyline from the rooftop patio or rooting his Bengals to victory at Paul Brown Stadium. As President of our Kentucky market, John Duffy will quarterback the Louisville and Lexington teams as through his 15+ years of executive-level experience in the contract furniture industry. His drive, forward-thinking approach and commitment to bringing outstanding service to our southernmost markets will be crucial in growing our footprint in the Bluegrass State. Outside of work, John is an avid golfer and boating enthusiast and he enjoys spending time with his wife of 32 years, Nancy, their five children and three grandchildren. He also bleeds red and black as a tried-and-true Georgia Bulldogs fan. 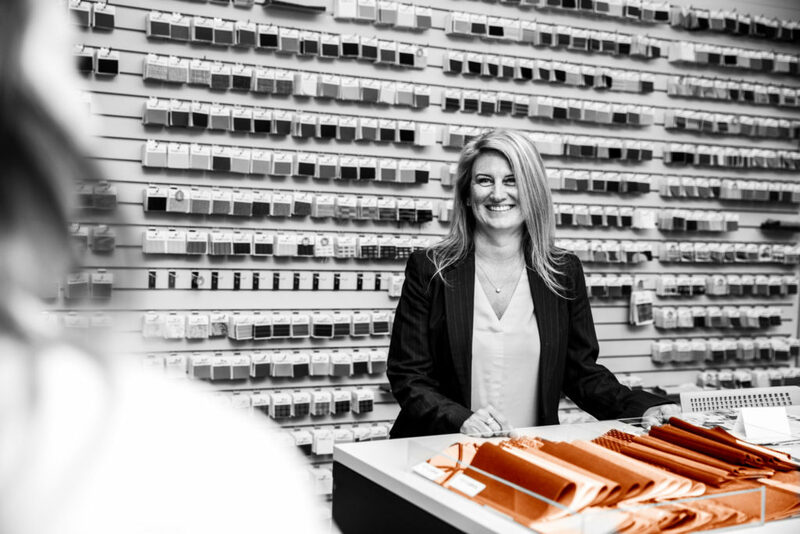 As President of RJE’s Columbus market, Tarra brings years of valuable expertise from both the dealer partner and manufacturer worlds — giving her the perfect perspective to help drive an exceptional customer experience for our Ohio customers. 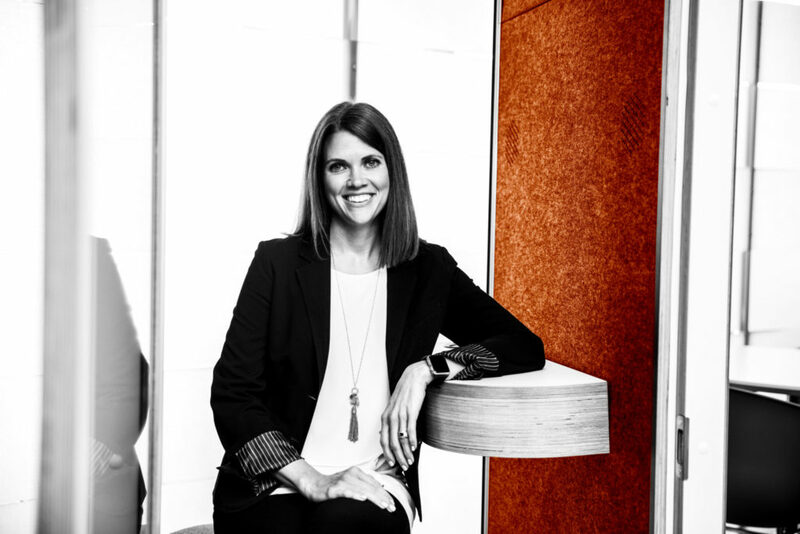 When paired with her entrepreneurial spirit, her experience in both design and sales makes her perfect to spearhead RJE’s success in our newest market. When not driving growth at RJE, Tarra is an avid runner and loves spending time outdoors with her husband and two daughters, Avery & Emerson. Shelly Langona, General Manager and Vice President, wears many different hats to ensure the success of RJE across the Midwest. Her energy, passion and determined resolve frequently has her two steps ahead of the game, tackling issues before they even have the chance to impact a client. Kind to her core, you can frequently find Shelly chatting with her team members over a cup of coffee in the cafe or working to better our partnership and support of United Way. Steve Cooney, VP of Sales for Indianapolis, pairs his competitive nature with years of sales expertise and experience to drive growth in the Indy market. His natural affability and easygoing leadership style inspires our sellers to connect deeply with our customers to provide them with an exceptional partnership experience. When not building relationships in the Circle City, you can find Steve on the baseball diamond coaching his son’s traveling team or watching his daughter play volleyball. As the Controller for the RJE enterprise, Nancy McMichael keeps this well-oiled machine running day in and day out. 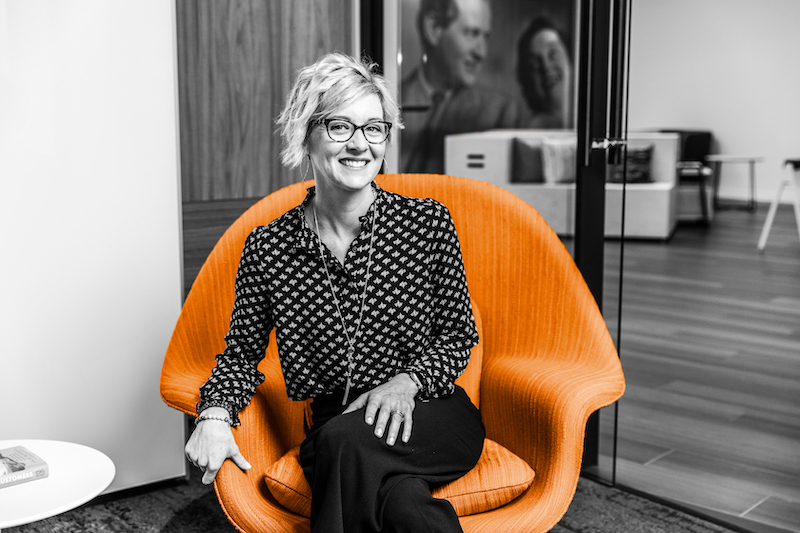 Having been with RJE for almost 10 years, she navigates the financial nuances of the industry with ease, ensuring the success of all five RJE locations from our headquarters in Indianapolis. When not crunching numbers, Nancy enjoys traveling with her husband and exploring downtown Indianapolis. RJE has an established corporate commitment to value diversity at all levels of our business operations, both internally through workforce development and externally through the vertical expansion of our minority and women-owned business partners. In creating a culture that respects and values the difference in others, RJE accepts diversity as an inclusive concept. We believe the diverse capabilities that reside in our talented workforce and business partners proactively position our business for the future; creating continual business opportunities to remain viable in a rapidly changing business environment. We believe our differences should be celebrated – and that’s central to the RJE Difference. View some of our other team members.